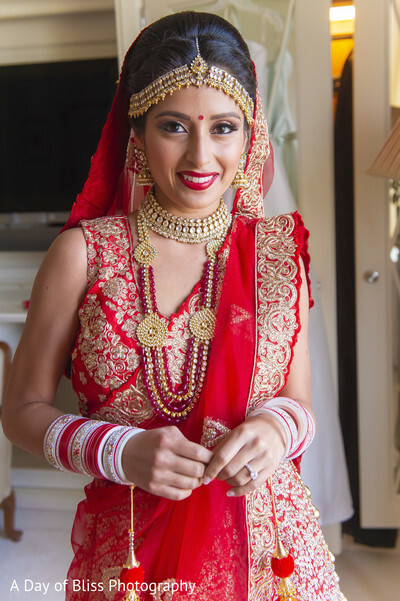 Hey, dolls! 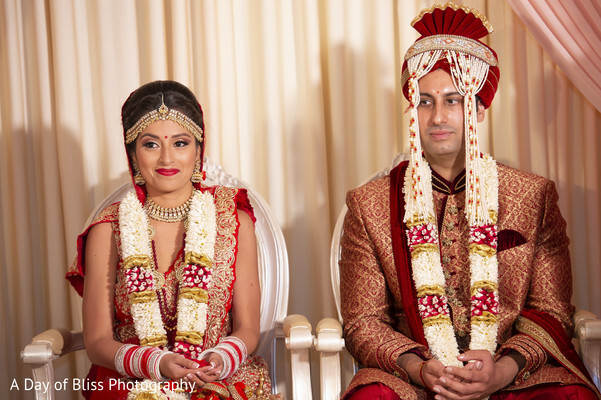 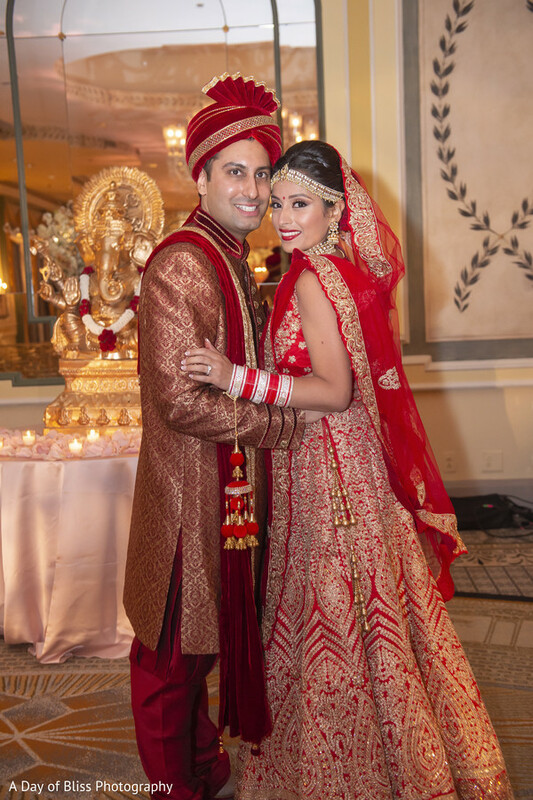 We are heading off to the Big Apple for a beautiful Indian fusion wedding courtesy of A Day of Bliss Photography! 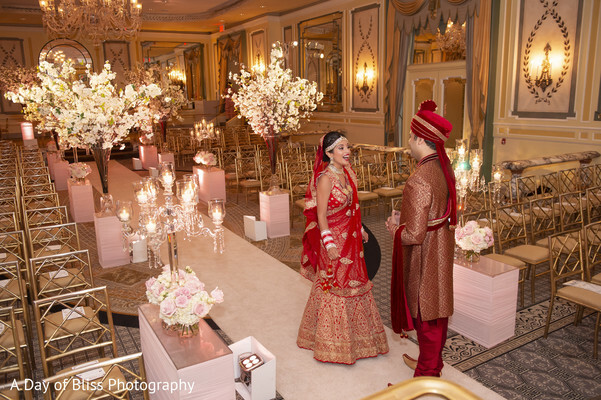 The world-renowned photo team brings us all the fabulousness of Genesis and Vinay's nuptials held in the heart of New York City at the luxurious The Pierre Hotel. 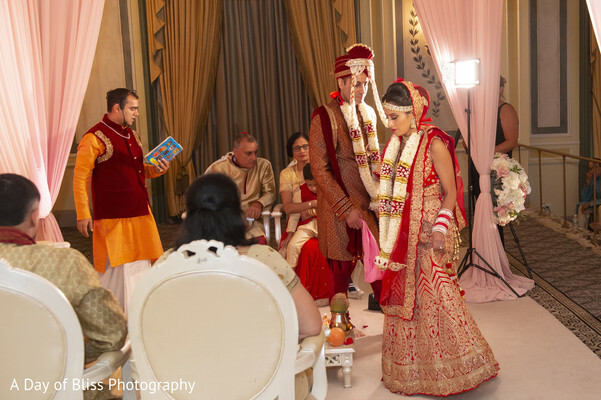 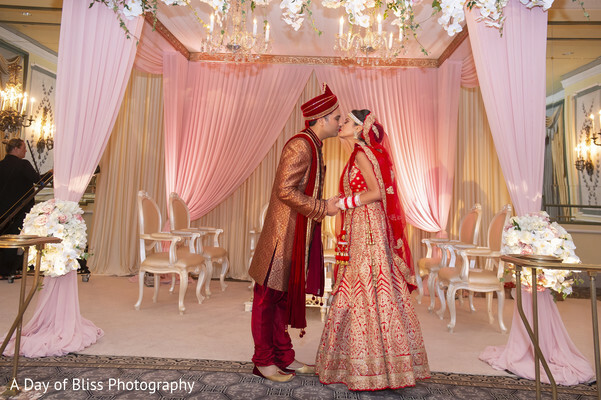 Touch of Elegance Events was the genius behind the planning and production of this full-scale and lavish event that began with a spectacular Indian ceremony. 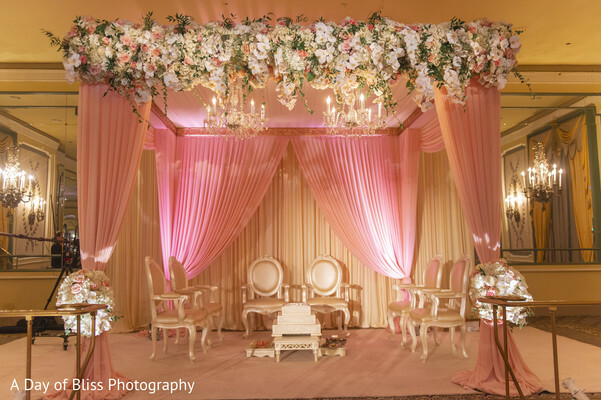 The beautiful Cotillion Room was the dramatic backdrop for the fantastic floral and décor flawlessly executed by the wedding experts of Elegant Affairs Inc. who infused the ambiance with a romantic and mellow combination of pinks and white hues. 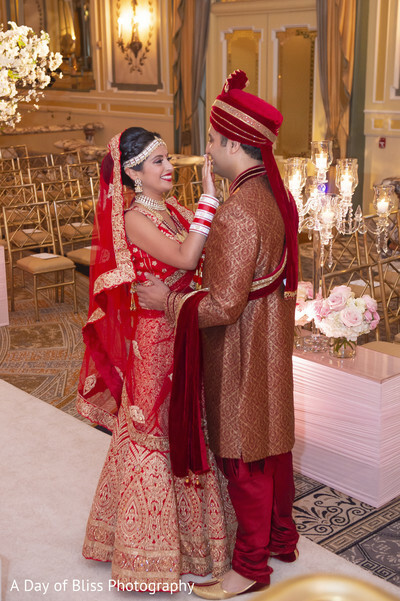 Maharani Genesis slipped into an elegantly embellished red lehenga and was all dolled up by Style by Susmita while Raja Vinay took over the New York City streets during his Baraat and wed in an exquisite brocade red and gold sherwani suit! 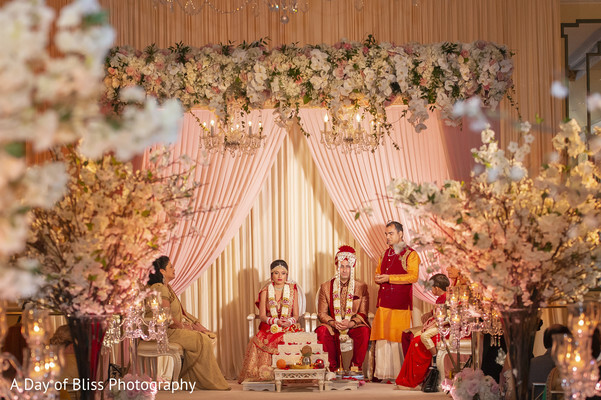 Take a quick view of all the splendor that surrounded this upscale union in our full gallery! 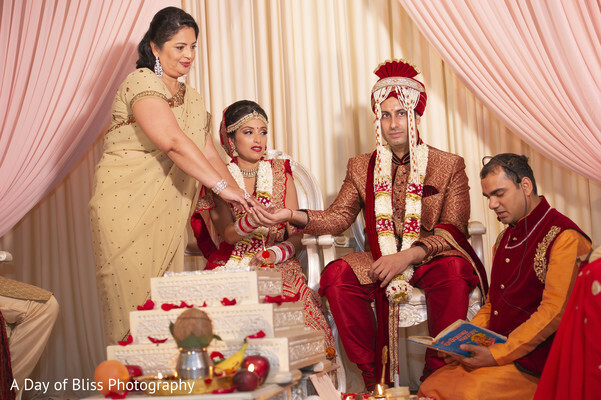 Join me in for the second ceremony of Genesis and Vinay’s sophisticated interfaith wedding in a few!